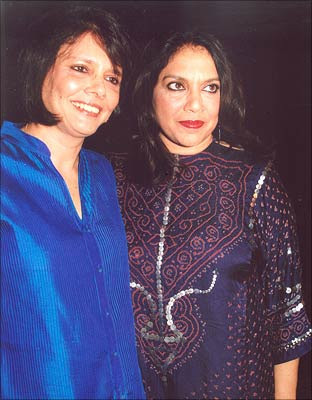 She’s more known for her screenplays “Salaam Bombay!” and “Mississippi Masala” both directed by filmmaker Mira Nair (pictured right), but Sooni Taraporevala is also an accomplished photographer. Her book, PARSIS, The Zoroastrians of India: A Photographic Journey, are photographs spanning 20+ years of the first visual documentation of India’s Parsi community. Followers of the world’s first prophet, Zarathustra, their religion Zoroastrianism is the world’s oldest surviving monotheistic faith. The photographer herself is of Parsi Zoroastrian descent and was encouraged to publish the book by fellow friend and renowned photographer Raghubir Singh. Harvard and NYU educated, Sooni lives in Bombay with her family. Sooni Taraporevala is a gifted screenwriter. I enjoyed her film "Little Zizou". I did not realise until recently that she was also a photographer. The photography on her website, of films and of Parsis, inspiring. Her book on India's Parsi community also looks beautiful. Sooni Taraporevala is a gifted screenwriter. I enjoyed "Little Zizou". I did not realise until recently that she was also a photographer. The photography on her website, of films and of Parsis, inspiring. Her book on India's Parsi community also looks beautiful. I heard that Taraporevala is now a director- her film “Little Zizou” (about the Parsi community in Mumbai) premiered in New York recently. The film festival’s website also listed a work in progress film about Taraporevala, at http://www.avanprojects.com . Taraporevala’s website http://www.soonitaraporevala.com also has amazing photos on-set from many of her films!